Thanks for another great giveaway! I am now in the mood for some Bronte! Great collection of books. Count me in, and thanks for the offer. Oh my gosh, the green collected works are a must-have! Thanks for the giveaway! 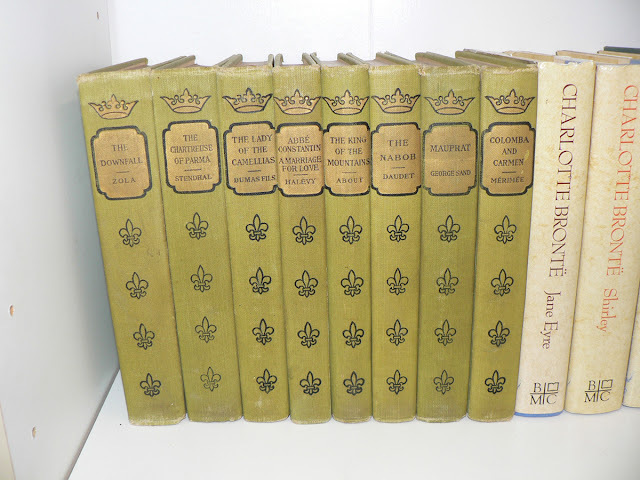 Need some winter reading and these would be perfect. I would love these and pet them and call them George. I would love for these to be displayed on my bookshelf. I found your contest on Facebook. Thank you. Awesome collection of books! Some real beauties there. Wonderful! 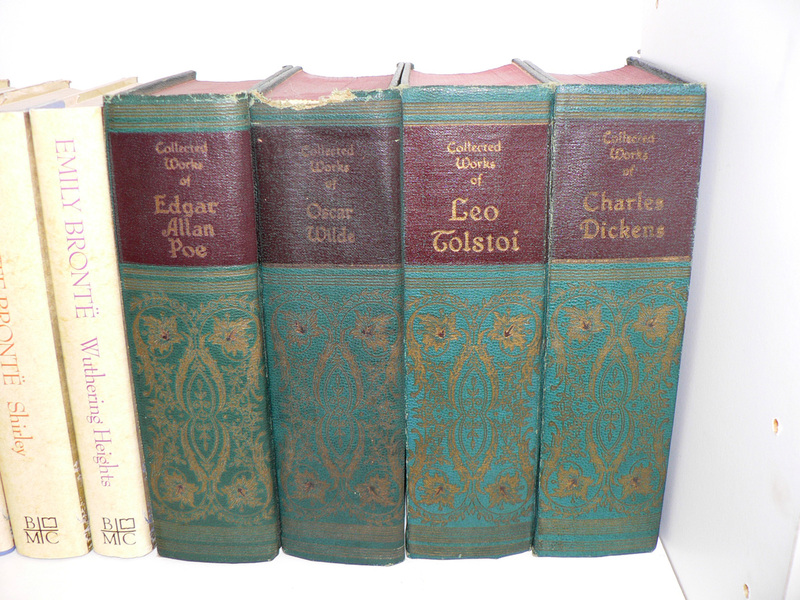 I'd love, love, love to add these to my collection of old books. These would be my best friends during upcoming winter! All I have to say is, DROOL. 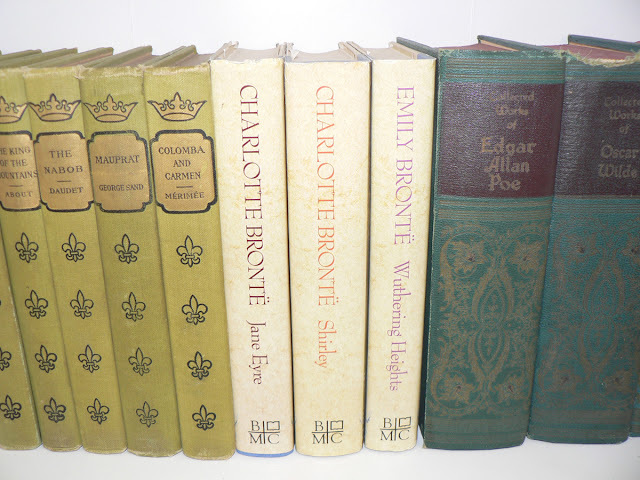 Love these books, especially by Bronte! Thanks for the chance! Amazing that you give books to good home every week! Please enter me. These books look super! Count me in, and thank you so much for the opportunity ! What a wonderful assortment of great writing. You have the best giveaways! I'd like to be entered, and to thank you for this chance ! wow, thanks for the opportunity! *Raises hand* Please count me in! Thank you! So much wonderful. Thanks for the opportunity, even if I only get to drool over them. I heart Brontë! :) Want! I'm entering because I love old books! Winning this would top the lottery! Tanks for the chance! You are so generous! Bless you. Of course, I'd love to win. I enjoy reading about the things you find in books. so pretty! I want, I want! I'd love to be entered. Those look excellent! That's one gorgeously opulent Wilde. Thanks a lot for doing this! These would be such a lovely addition to my bookcase! Those are wonderful--thanks for offering them! Awesome...Wuthering Heights is an annual read for me! These look fantastic! Ooooh, I hope it's me! Good luck, everyone! Me, me, me! Pick me!